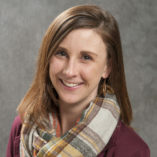 Gretchen Corcoran, PT, DPT, GCS is a Clinical Assistant Professor in the Department of Physical Therapy at the University of Illinois Chicago. Dr. Corcoran received her Master’s Degree in Physical Therapy in 2004 and her transitional Doctorate of Physical Therapy in 2010 from Northeastern University in Boston, MA. She is a Geriatric Clinical Specialist. As an acute care therapist in Boston, Dr. Corcoran gained experience working with patients with complex medical conditions including patients on the trauma, medical surgical, cardiac medicine, vascular, cardiopulmonary surgical, general medicine, oncology, neurology, and the intensive care units. Dr. Corcoran has worked in both the acute care and sub-acute rehabilitation settings in Chicago, as well as the school system setting as a physical therapist at the Chicago Public Schools. Dr. Corcoran has been involved in clinical education as an APTA credentialed clinical instructor. In addition to her clinical experience, Dr. Corcoran has been an instructor with Scorebuilders since 2010.